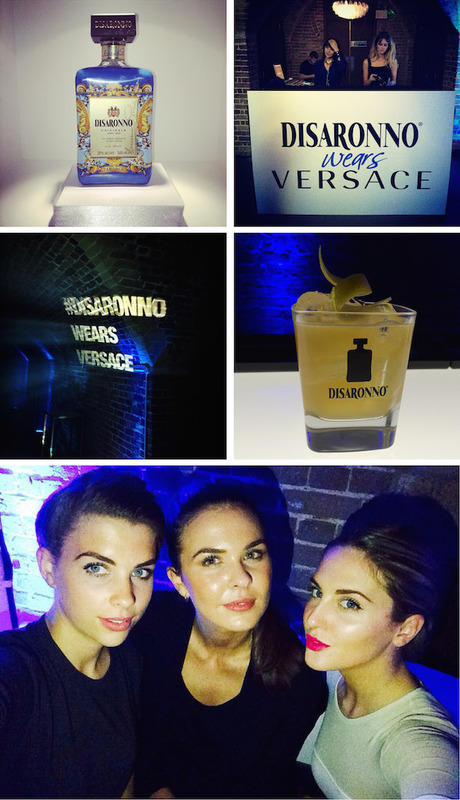 Disaronno is one of my favourite aperitifs so you can imagine how excited I was to be asked to attend the Disaronno wears Versace launch party this week. A couple of friends and 1 attended the glamorous, star-studded event at One Mayfair last night to sip on a never ending river of Disaronno sours, dance to an awesome Dj set by Sunday Girl DJ and Zara Martin and, of course, admire the beautifully dressed Disaronno bottle now rocking its new Versace jacket. Like me, you may enjoy Disaronno straight up or on the rocks but never know what to mix it with. Last night has inspired me to try out a few cocktails of my own, and with party season just around the corner you can bet I’ll be serving these Disaronno sours at my Christmas party. The DISARONNO wears VERSACE limited edition bottle will be available in stores worldwide starting this October. It makes pretty awesome christmas present and will look stunning on your drinks shelf so be sure and get yours while they last!